There are close to 30 million small businesses in the United States. If you own one of these businesses, it’s likely that you’ve had more than one sleepless night because of tax stress. To ensure better rest, your best bet is to learn about the many tax strategies that you can use every year to save money and reduce your tax liability. 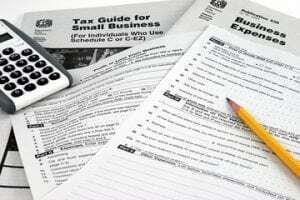 So what are some of the small business tax deduction secrets? How can you and other business owners ensure that you’re not overpaying come tax time? Read on to discover five small business tax tips from the True Resolve Tax Professionals. Countless small business owners run things from an office or brick and mortar location. However, their work often continues at home. And yes, that home office can be used as a tax deduction. Any expense related to the home office can be deducted. These deductions can include insurance, utilities, such as internet access, and even repair costs. It is important, though, to make sure you determine exactly how much of your home is dedicated to your office. The amount of square feet can dictate just how much money you’ll save. Car expenses are another cost that can be deducted from your small business tax payments. The important thing with this tax tip is to figure out exactly how much you use your car for work purposes. Once you calculate that percentage, you can see how much that portion is of your total car expenses. Also, be sure to compare the actual percentage to the IRS’s standard mileage rate. From there, you can find out which deduction makes the most sense for you when filing your taxes. Have you ever heard of carryover data with your cell phone plan? Well, there are also carryover deductions when it comes to your taxes. Certain deductions or credits that are not fully used during one tax year may be eligible to be used when filing your taxes during the following years. Some of these carryover deductions include capital and net operating losses, charitable contribution deductions, and as mentioned above, home office deductions. Small business owners that begin paying for their retirement right now aren’t just helping themselves prepare for the future. They are also saving themselves money in the present. Those who are self-employed can reduce their taxable income by putting money in a retirement account. That money will not be taxed until it’s withdrawn during the small business owner’s retirement. If you are under 50, you can provide up to $5,500 for a traditional or Roth IRA. If you are over 50, that number increases to $6,500. When it comes to small business tax tips, remember that working with family can actually save you money. Hiring family members makes small business owners eligible for a deduction reflecting reasonable compensation paid to that member of their family. This deduction lowers small business owners’ taxable income. Furthermore, hiring a family can also help small business owners stay away from FICA and FUTA taxes. Taxes can be one of the most challenging parts of running a small business. However, these small business tax tips should prove to be helpful the next time you file. Of course, there are many more strategies available to you as a small business owner here in Denver. 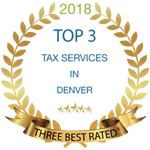 All you need to do is contact the True Resolve Tax Professionals. We’ll customize a plan to help reduce your tax liability and keep more of your hard-earned profits in your own pocket. Book a Tax Discovery Session to learn more about how we can help potentially lower your tax rate.